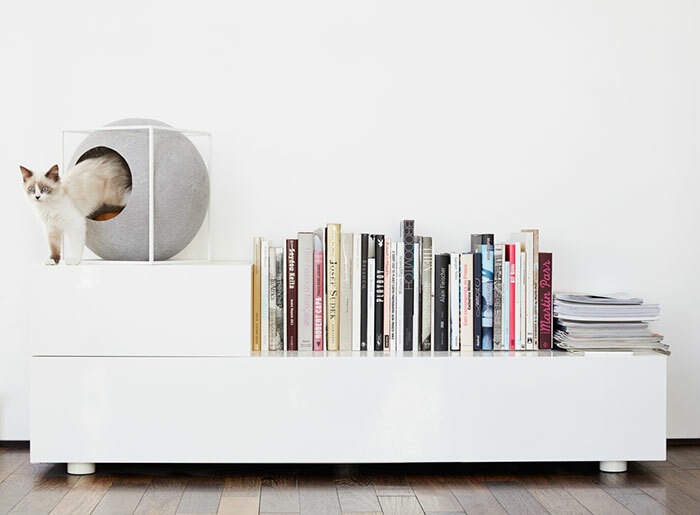 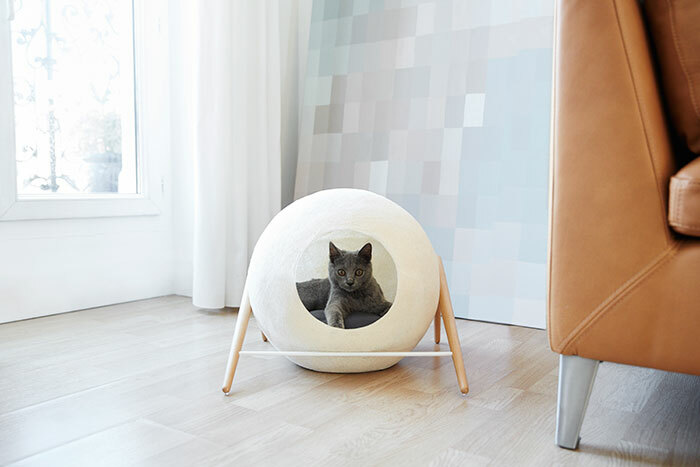 A minimal cat bed in the shape of a cocoon by Meyou Paris. 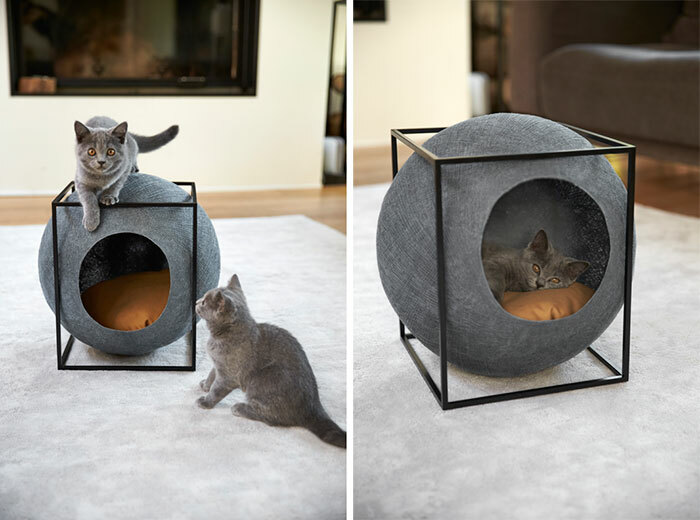 The beds are made of woven cotton or 100% wool felt encased in a metal or wood frame that are designed to offer cats maximum comfort. 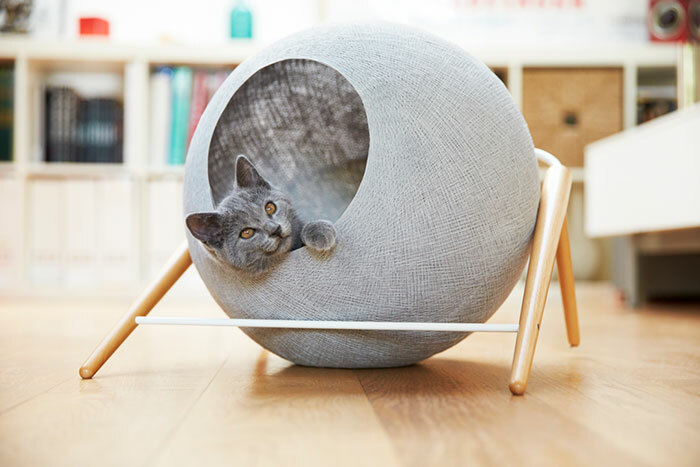 Since cats are curious and playful by nature, they can use it to take shelter, observe the world, hide, nap or sharpen their claws. 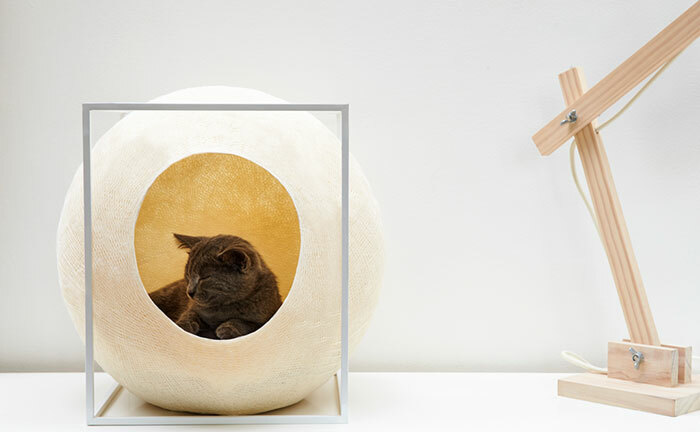 The elegant design combines curved and straight lines that blends seamlessly into any home. 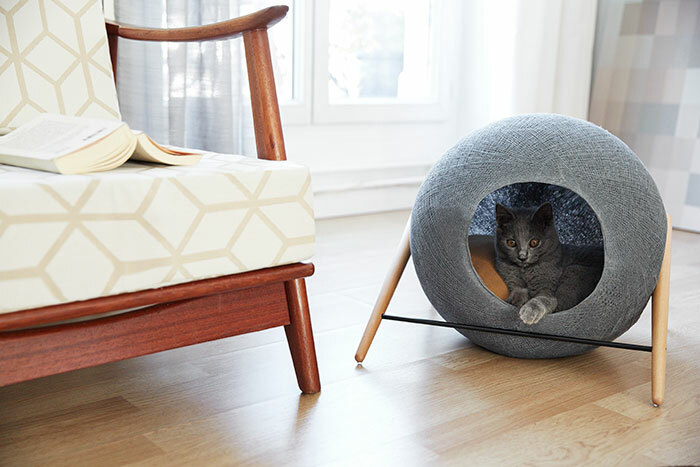 A minimal cat bed in the shape of a cocoon.